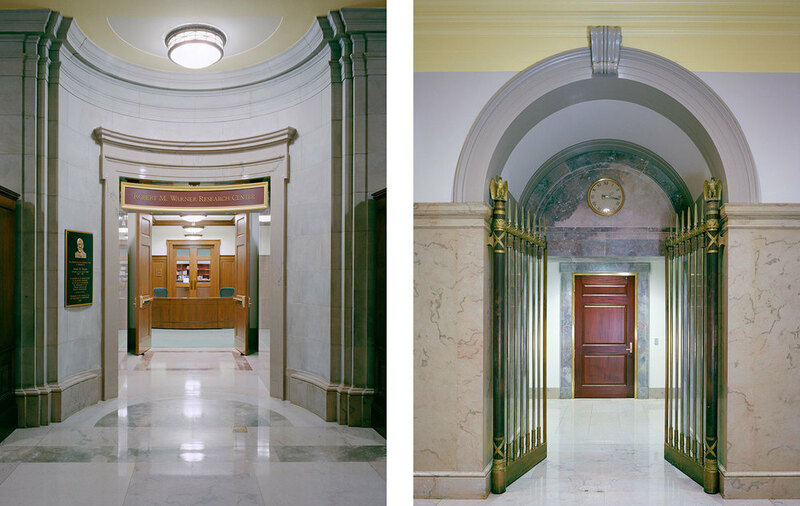 The National Archives and Records Administration (NARA) selected Hartman-Cox Architects to provide principal design services for all facets of the renovation of the 1935 structure. The most important of these include complete replacement of the building's mechanical, electrical, plumbing, life safety, telecommunications, and security equipment and distribution systems, and the replacement of the exhibit cases for The Constitution and Declaration of Independence. Work also included the design of new handicapped accessible public entrances at Constitution Avenue, a new auditorium under the entrance steps, new security vaults and lighting in the Rotunda and the replication of the historic millwork, furnishings and light fixtures in the Research Rooms.